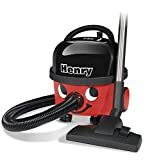 Since it first hit the market in 1981, Numatic International’s Henry hoover has become a symbol of British engineering and manufacturing quality. Despite the competition from its more contemporary counterparts – including, of course, the Dyson range of vacuums – the Henry continues to exist as a fantastic solution to anyone wanting a convenient and affordable hoover for their home. We picked one up recently to try it out, and can happily say that our expectations for the UK’s most reliable cylinder hoover were met with ease. Henry, as you would expect, arrives well packaged. It’s a six litre hoover which uses its own proprietary self-sealing bags (which, depending on where you look, cost anywhere between 50p and £1 per bag). Numatic provide three of these when you purchase the hoover, including one which has been helpfully pre-installed. Also in the box are the ‘standard’ nozzles and tools to help you get hoovering done on any surface; a crevice tool and an upholstery nozzle, alongside the regular adaptor for general vacuuming, can all be carried using the vacuum’s convenient on-board storage design. 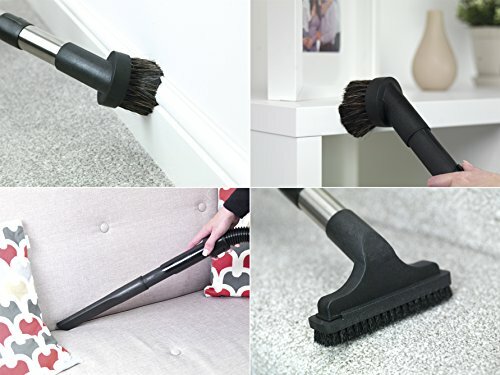 That regular adaptor – also known as the “combi floor tool” – is able to switch its brushes to face up or downward, meaning that it can easily be adapted for use on carpets as well as on hard floors. The Henry’s 10 metre extension cable is going to be more than adequate for most owners, and we found that we only needed to change power plugs twice when going over a three-bedroom, two-floor house. In fact, small home owners would do well to seriously consider the Henry, considering that its size and design means that it can be stored away extremely easily. Unlike some of the Dyson models we use, the Henry has a much more uniform shape, and could definitely be easier to store depending on which space you have available to you. Using the Henry was an incredible satisfying experience. We already expected this, but decided to put it through its paces anyway. The switch on the combi floor tool was particularly useful in our joined living-and-dining room (with a carpet in the living room and a hardwood dining floor), and the crevice tool made tidying up those awkward spaces around couches and other furniture particularly easy. The suction is fantastic and picked up all dust and debris that we could see, despite the fact that its wattage is rated lower than older versions of the Henry (the result of necessary compliance with an EU mandate). In fact, everything about using this vacuum was an absolute joy. Even changing and reinstalling bags was easy; in fact, the benefits of having to go back to using bags again became immediately evident as soon as the hoover had to be emptied. Not only did we manage to get all of the hoover’s intake emptied with complete ease, there was also a significantly reduced chance of it spilling anywhere. 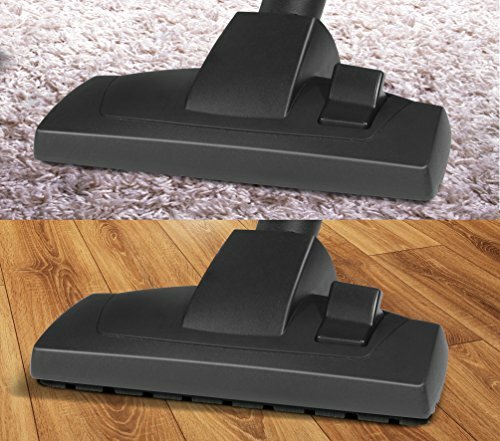 It’s hard to sing the praises of this hoover enough; it’s incredibly convenient and powerful, and the relatively-affordable price tag means that you should absolutely seriously consider this over more expensive alternatives – especially if you live in a flat or a small home. In fact, we can’t think of one single drawback; despite the lower power wattage, we still found it to be a pleasure to use, and will continue to use it for quickly running round the house.